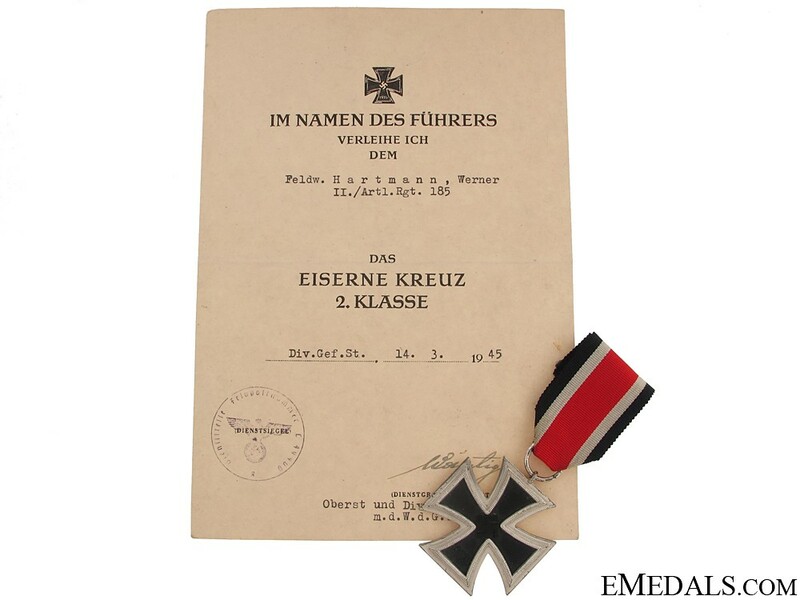 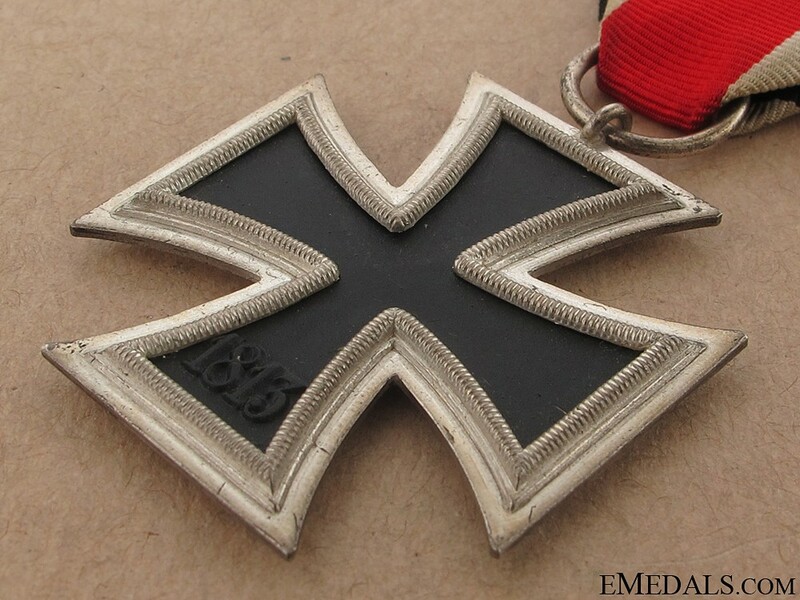 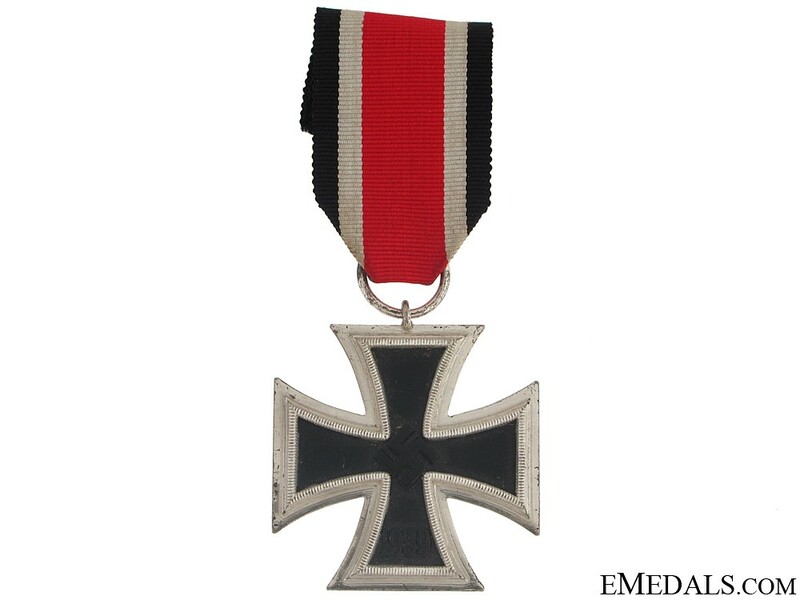 Iron Cross Second Class 1939 & Document - - Magnetic, unmarked, extremely fine. 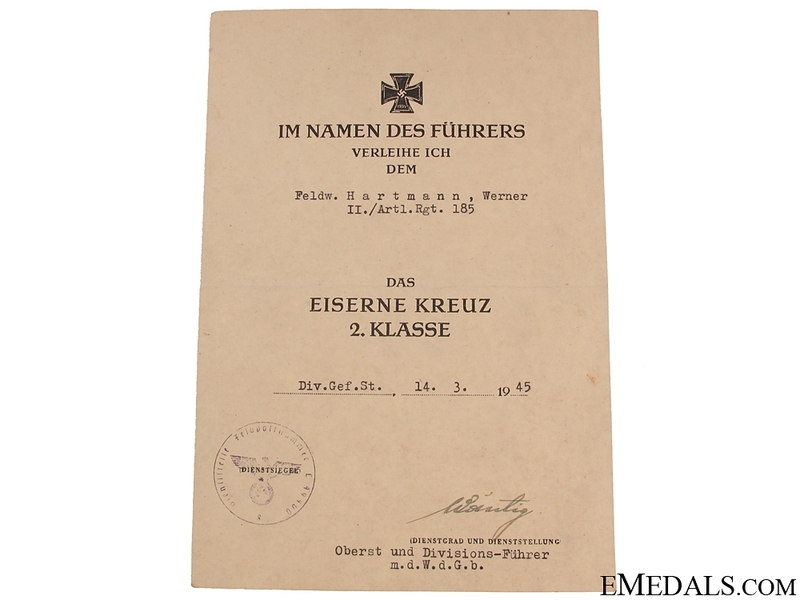 Accompanied by signed and stamped award document named to Feldw. 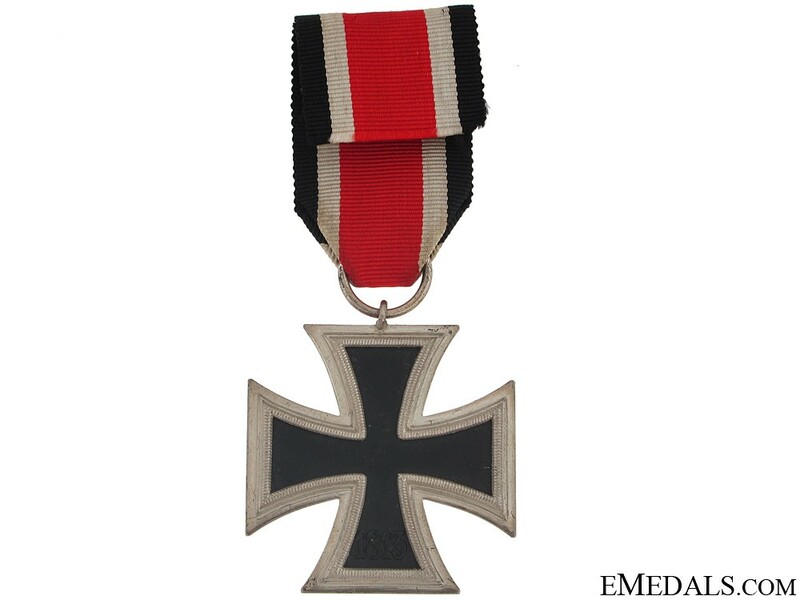 (Feldwebel " Sergeant) Werner Hartmann, II./Artl.Rgt. 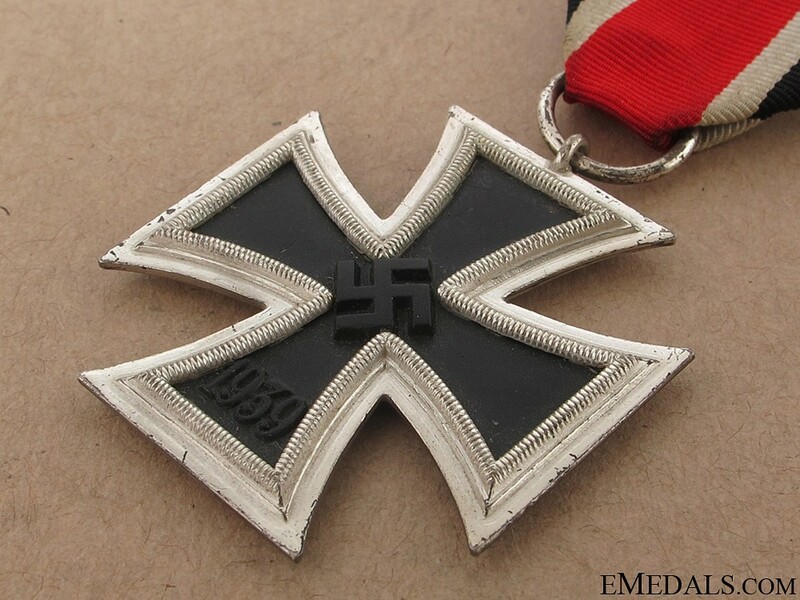 185", awarded on March 14, 1945.